C:Micro-expansion:In order to ensure a close contact between the equipment and the foundation. 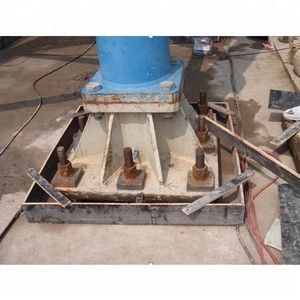 B:Machinery and equipment anchor bolts, anchor bolts fixed base grouting . E:Steel mills, power plants, factories and other fast mechanical repair grout . 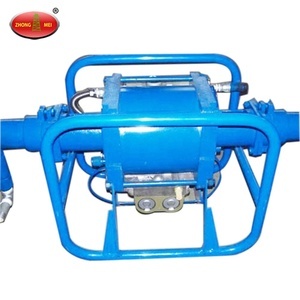 air diaphragm grout pump Cement water mixing grouting pump. 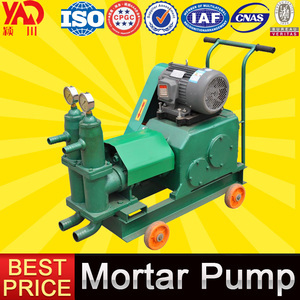 Features Characteristics of air diaphragm grout pump : Electric mortar pump. 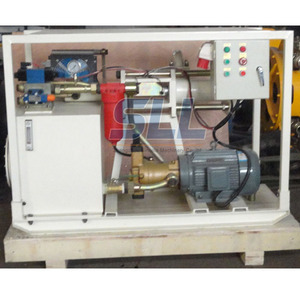 air diaphragm grout pump, Robust and easy maintenance. 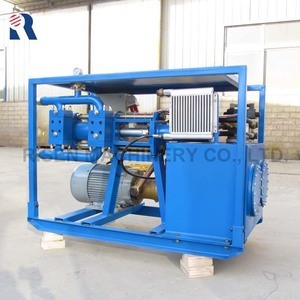 3 YRS Terraco Guangdong Architectural Coatings Co., Ltd.
M ain oil pump use d eformation piston pump which is high efficiency and strong pressure . , Ltd aims to have top quality, top reputation and top service. Generally it is 3-5 days if the machines are in stock. 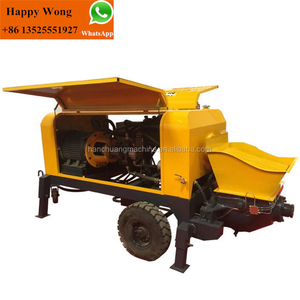 ZUB Piston Grouting Pump/Concrete Mixer Hot Sale With Low Price : ZUB - 3 mortar pump is a kind of single cylinder piston mortar pump used to transport mortar and spraying operations, this pump is the most ideal a high-performance cement grouting pump at home and abroad. 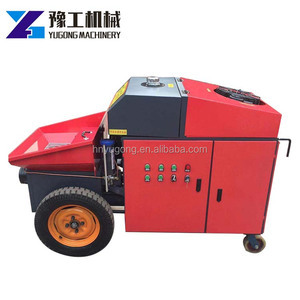 Is widely used in roads, Bridges, municipal construction, tunnels, ports, DAMS, subway, underground construction and building products such as grouting pressure, high pressure, high production efficiency, compact structure is simple, reliable performance, safe and convenient operation, wheel design, convenient movement, etc. ZUB - 6 type duplex mortar pump advantage: rational design, integration of pumps and compressors, mobile convenience;Continuous, no pulse phenomenon;Applicability is wide and can spray powder, mortar, also can spray ordinary mortar;Spraying uniformity, strong adhesion function is all ready, can either spray and spray;Spray gun and nozzle connection can choose any direction, easy to operation. 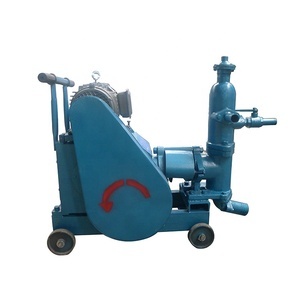 8 YRS Qingdao Jiuhe Heavy Industry Machinery Co., Ltd.
Alibaba.com offers 1,873 hydraulic grouting products. About 9% of these are other construction machinery, 1% are adhesives & sealants, and 1% are other waterproofing materials. A wide variety of hydraulic grouting options are available to you, such as free samples. There are 1,873 hydraulic grouting suppliers, mainly located in Asia. 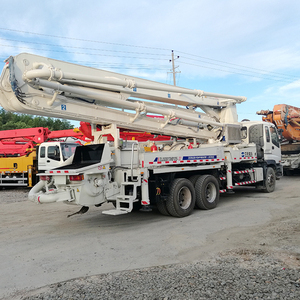 The top supplying country is China (Mainland), which supply 100% of hydraulic grouting respectively. 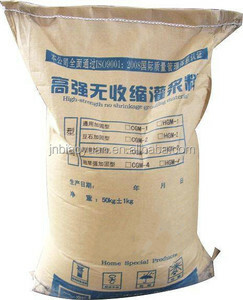 Hydraulic grouting products are most popular in Domestic Market, Mid East, and Southeast Asia. You can ensure product safety by selecting from certified suppliers, including 1,053 with ISO9001, 301 with Other, and 118 with ISO14001 certification.